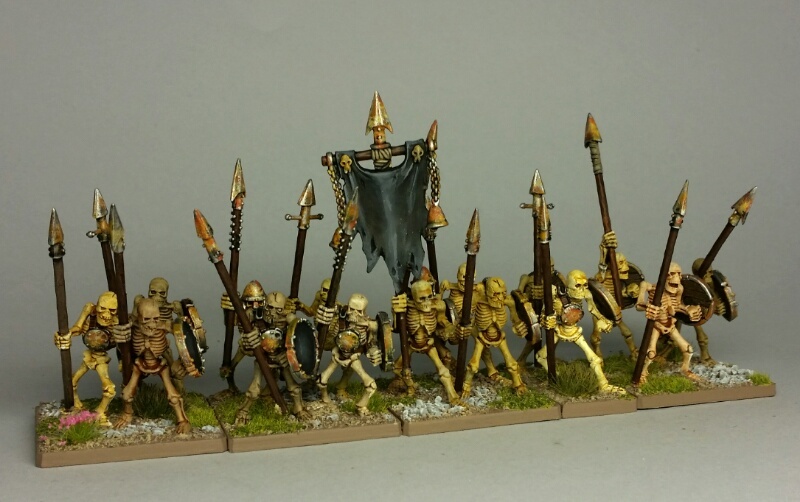 Done with the latest batch of skeletons. I ended up putting two on individual bases, since I had some trouble fitting 4 on every 40mm base. So I end up with more "footprint" than planned, the regiments will still look full, and I have a start on my "singles." So it's a win/win/win. Looking good. I had somehow gotten way behind on reading the blog. Lots of excellent progress on the undead. I'm also looking forward to those silent running bots. Thanks. The bot project should kick off early 2018.